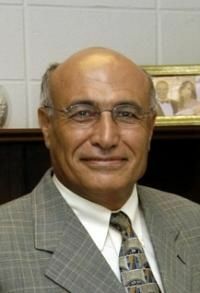 Professor George Hadjipanayis. Source: University of Delaware. Researchers at the University of Delaware and at General Electric Global Research are independently developing new magnets using nanoparticles to preserve the increasingly small supply of rare earth metals typically used in the strongest magnets made today. These new magnets are also stronger and lighter than traditional magnets and should increase efficiency as well as conserve the dwindling supply of neodymium, dysprosium, and terbium. Demand for these metals is quickly outstripping their availability. This may be exacerbated by stricter export policies from China where most of the current supply is found. The Department of Energy has funded two independent projects looking to circumvent this scarcity by using nanoparticles to create magnets instead of large quantities of metals. Both projects are taking the same general approach to the problem – creating magnets from nanoparticles combining very small amounts of these rare metals with particles of iron and other more common metals. The small scale structure of these compounds greatly increases the magnetism found in the metal alone, requiring much less metal to achieve the same – or better – results found in normal magnets. GE is being fairly tight lipped about the specific composites in its magnets and about their manufacturing process. They claim to have successfully produced thin films of magnets using their process and are working on making magnets large enough for practical use. The other research group – headed by the Chairman of the Physics Department George Hadjipanayis at the University of Delaware – is more open about its methods but is also having difficulty scaling their process up sufficiently for practical use. The team at Delaware is using a combination of iron and cobalt with the standard rare metals in particles of around 20-30 nanometers to create its nanomagnetic material. They are trying to increase the magnetism of these particles and discover ways to assemble them into functional two and three dimensional arrays that act like traditional magnets. Their current research has general applications, but specific projects are focused on creating viable storage media and magnets for various types of medical research and technology. TFOT has previously reported on other research into magnets and using magnets including superconductivity research at the Los Alamos National Laboratory Magnet Lab and magnetic spaceshields that could protect spaceships from high speed particles and solar flares. TFOT has also reported on other nanoparticle research including a nanoparticle vaccine for Type 1 diabetes, silver nanoparticles for creating small electronics, and a way to encapsulate cancer treatments in nanoparticles. Read more about the University of Delaware research into magnetic nanoparticles on the group website. Read more about the initial DOE grant funding this research in this University of Delaware press release.